The pen comes packaged with one carbon ink cartridge refill. 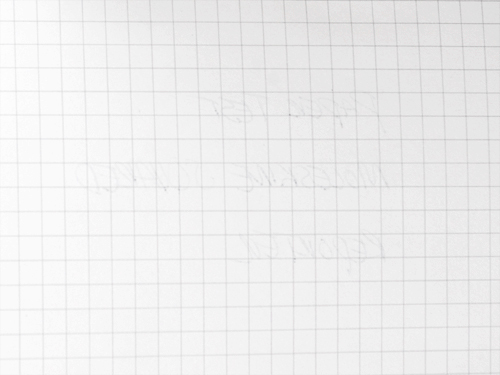 I received a review sample of JetPens‘ Platinum Carbon Desk Fountain Pen several months ago. I didn’t review it immediately because I wanted to let the pen sit for a while with ink inside to see if it would clog over time. Since I tend to rotate my pens and ignore many for long periods of times, my biggest pen problem is clogged, dried out nibs. I was pleasantly surprised that the pen laid down a smooth, consistent line without any clogs or stopping, even after being unused for eight weeks. 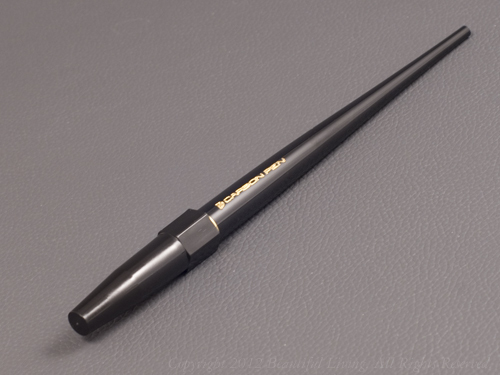 The Platinum Carbon Fountain Pen has a sleek, elegant shape, a roll resistant cap and is incredibly light in weight. The Carbon Pen feels weightless. It weighs just 0.3 ounces without the cap, 0.4 ounces with the cap. I am used to heavier pens, so it took a while for me to adjust to the feel, but after a while I found it to be quite comfortable. 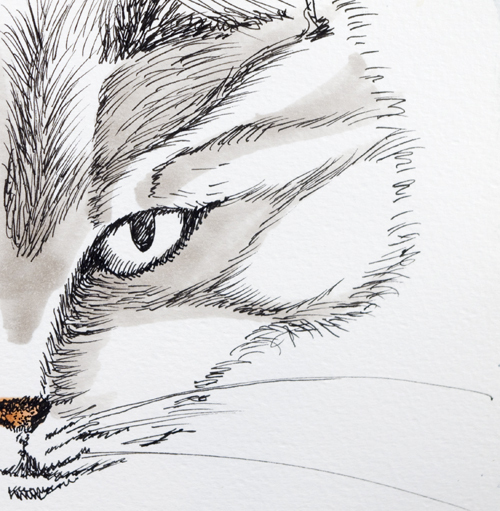 I did a quick sketch of my cat and found it capable of producing the type of line I like to use for fur, whiskers and hair. I was able to create varied line thicknesses that taper nicely when lifting the pen and the fine nib was capable of minute detail. Since this pen uses an ink cartridge, it was more convenient to use on a long sketch than my refillable, old-school croquill pen. The waterproof ink worked well with my alcohol-based Copic markers and I was able to color on top of the lines without the ink smearing or smudging. I was able to create tapered lines easily with this nib. The waterproof ink did not smudge or smear when I applied my Copic alcohol-based markers over top. 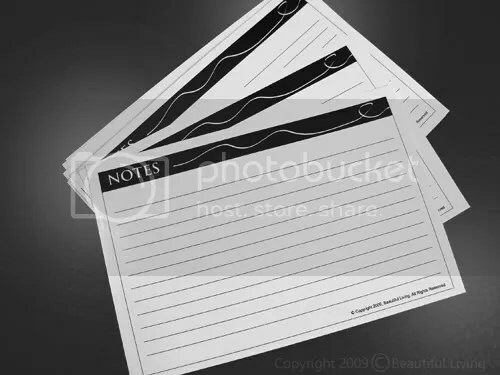 The ink seems to be compatible with a variety of papers and I was able to write on the thin pages of a Moleskine squared journal without any bleedthrough and minimal feathering. I was able to write quickly without skipping. 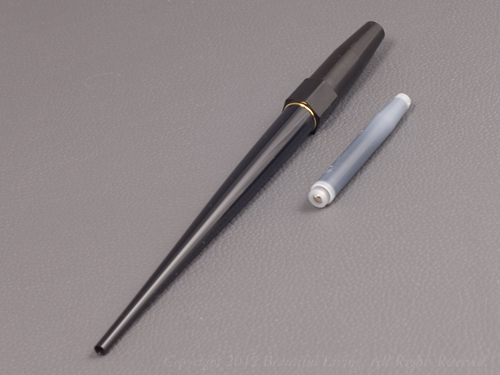 The fine nib creates a thin line that dried quickly with minimal feathering. 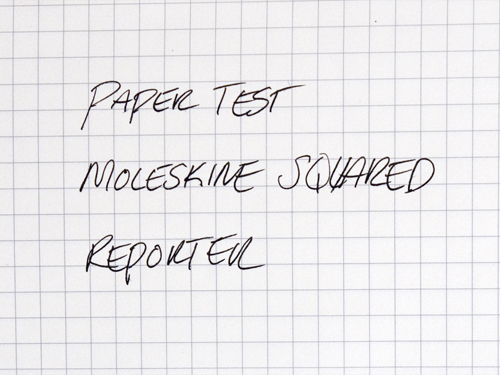 There was no bleedthrough on the back of the paper, even on the thin paper in the Moleskine squared notebook. I would highly recommend this pen for line art and sketching. If you work in pen and ink, you will be surprised by how capable this pen is of fine detail and consistent line work. It is reasonably priced, $13.50 at Jetpens.com.